Mr. Rosenzweig has 25 years of experience in government and the private sector with expertise in energy and environmental policy and markets. He recently published, “Global Climate Change Policy and Carbon Markets: Transition To A New Era.” The book assesses 25 years of climate change policy and makes recommendations for future policymaking. Prior to that, he served as Chief Operating Officer (COO) of Natsource LLC, a leader in the global carbon and renewable energy markets. Natsource was one of the first and largest greenhouse gas asset managers in the world with over $1 billion in assets under management and was the largest buyer of carbon credits in the world through 2007. As COO, he was responsible for overseeing the company’s business units, ongoing operations and implementing its business strategy. Mr. Rosenzweig established the company’s global Advisory and Research Services business unit in 2000, through which he provided services to private firms, investment funds, governments, and international financial institutions on all aspects of climate change and renewable energy, including risk assessment and management, market entry strategies, trading system design, and domestic policy development. Prior to joining Natsource, Mr. Rosenzweig was a principal in the Washington law firm of Van Ness Feldman and was Chief of Staff to the U.S. Department of Energy. 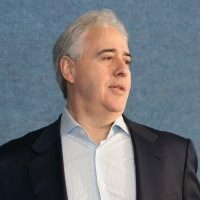 As Chief of Staff, Mr. Rosenzweig was responsible for the development of global climate change policy, whereupon he participated in the development of the first U.S. Climate Change Action Plan. Mr. Rosenzweig has written extensively on the greenhouse gas market, the impacts of trading system design, and the role of technology in addressing climate change. Mr. Rosenzweig holds a B.A. from Northeastern University and an M.A. in Political Science from American University.